This letter is expressing the anticipation of the message Dr. Soule will give at commencement. It also gives him a choice of whatever subject he would like to speak on. 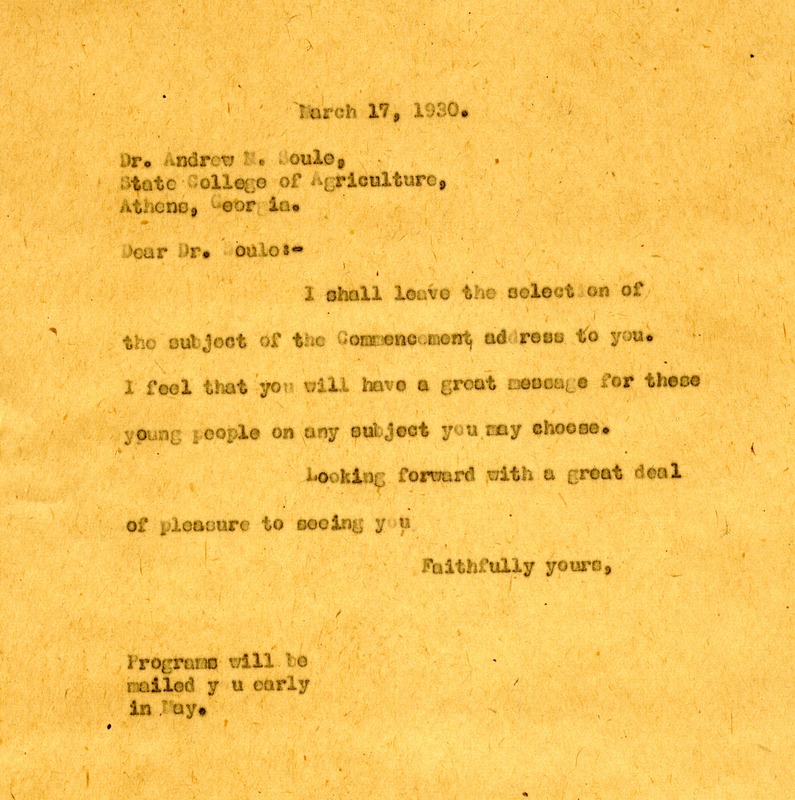 The Berry Schools, “Letter to Dr. Soule from Berry Schools.” Martha Berry Digital Archive. Eds. Schlitz, Stephanie A., Jordan Brannen, Aaron Flanders, et al. Mount Berry: Berry College, 2014. accessed April 18, 2019, https://mbda.berry.edu/items/show/14024.